Side Hinged Garage Doors Durham: Side hinged garage doors are the traditional garaged door consisting of 2 leaf doors which open outwards. Our side hinged doors are manufactured in either steel (single skin or insulated) timber and GRP. These doors are supplied within their own frame. These are ideal should you wish to part open the garage door for quick and easy access or as an alternative entrance. Side hinged garage doors can also be an ideal solution if you struggle to reach up to an up and over garage door. 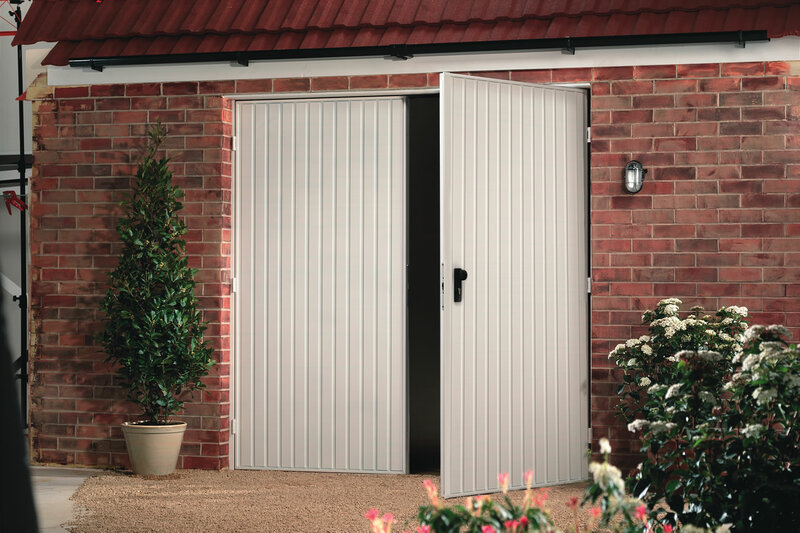 Side hinged doors can be fitted with an electric operating system if required. Available in various designs and finishes to complement your home.